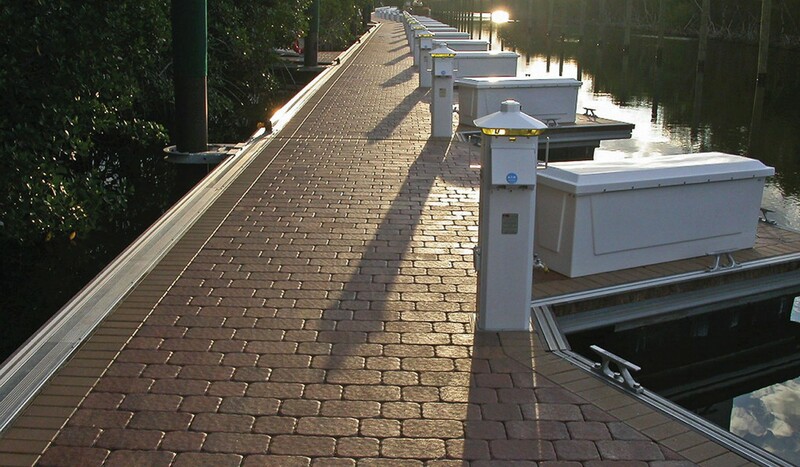 The Fort Myers Boat Club is a custom-fabricated marina designed to fulfill the client’s request for the use of interlocking paving blocks on the pontoons to match the blocks already used on shore. 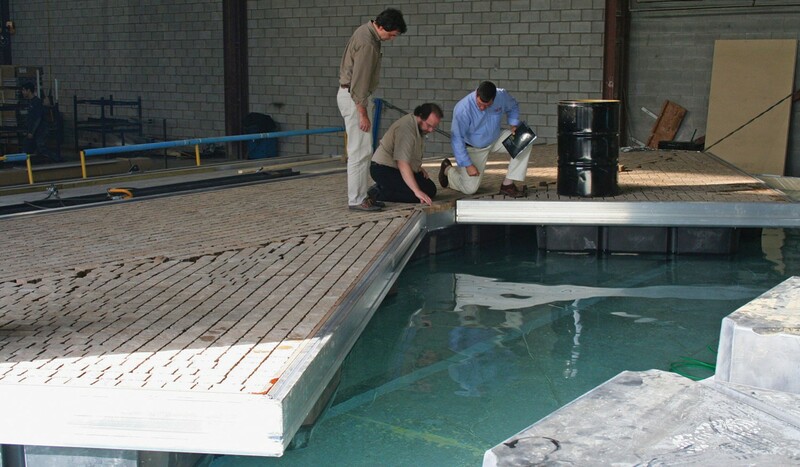 This required tank testing of prototypes by our engineering team. 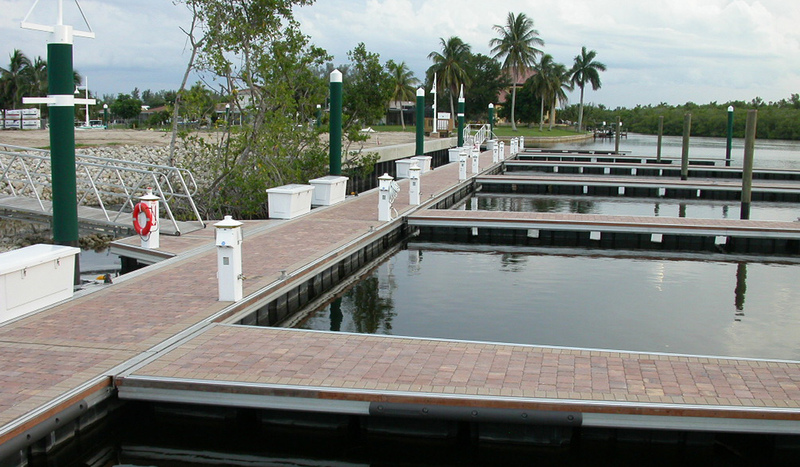 This site had challenging manoeuvring parameters due to the strict mangrove regulations and a narrow canal. 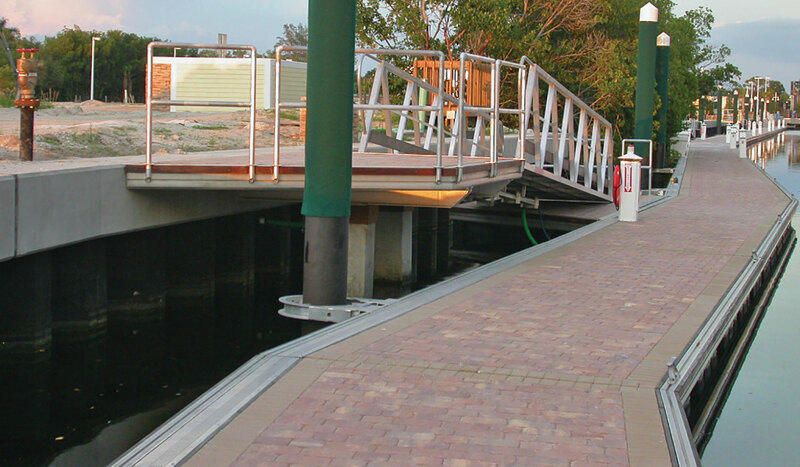 Berthing at an angle on private patios proved to be a successful solution.